Congress leader said AAP did not keep the 2015 poll promise of regularising unauthorised colonies. New Delhi: The Congress on Thursday attacked the AAP, saying while the party has promised to abolish house tax, the Shunglu committee has found that the Delhi government had itself allowed MCDs to impose property tax on unauthorised colonies in 2015. Delhi Congress chief Ajay Maken told reporters that the AAP government had allowed BJP-ruled MCDs to levy property tax on unauthorised colonies after the civic bodies approached it. "How could Kejriwal say that the tax will be abolished? He only permitted MCDs to levy house tax on unauthorised colonies. The committee has exposed his lie," Mr Maken said, with a copy of the Shunglu panel report in his possession. He sought to underscore the difference between the AAP and Congress over the issue, saying the erstwhile Sheila Dikshit government had in 2013 rejected similar proposal by the MCDs. The former Union minister also accused the AAP of not keeping the 2015 poll promise of regularising unauthorised colonies. 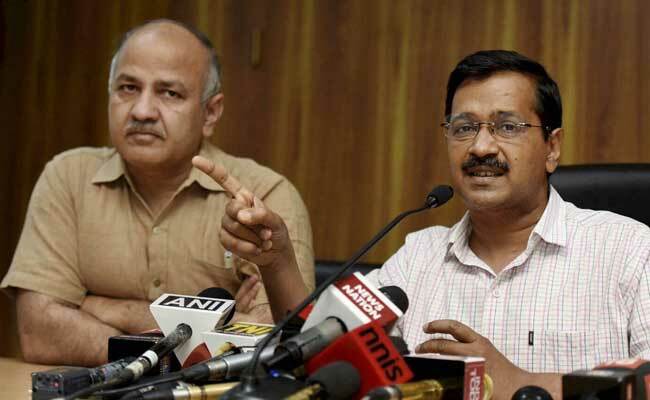 Mr Kejriwal had on March 25 announced that residential house tax will be abolished and pending dues will be waived if AAP emerges victorious in the April 23 civic polls. The three-member Shunglu panel was set up in August 2016 by the then Lt Governor Najeeb Jung to probe the allegation of irregularities in the functioning of the Delhi government. The report which runs into over 100 pages deals with decisions, including appointment of certain individuals as advisors to the government, taken by Mr Kejriwal and his cabinet where it had no authority do so and without the LG's concurrence. Among other issues, the report raised questions on the government posting officers to the Anti-Corruption Branch, its decisions on transfer and appointments of officers, foreign travel undertaken by ministers without the LG's sanction and appointment of lawyers.